Referral marketing doesn’t just happen on its own. Just like other marketing promotions, your referral program needs to be promoted and fed into your various marketing channels. One of the most powerful channels of promotion is social media. And a social referral program is actually easy to promote. Yes, referrals happen on their own through word of mouth, but how does word of mouth happen today? DING! DING! DING! Social Media! In today’s world of mobile apps and word of mouth marketing, the easiest way for a consumer to communicate with their friends is through social media. As you can imagine, running a referral program that is social media friendly means you’ll have a higher chance of success. This is especially true if the business already has customers talking about them in these channels, it also makes it incredibly easy to run a social referral program. As you can probably already tell, social media is important for businesses. Promotion Hacks to keep it top of mind? You probably understand how important it is for social media and referral marketing to work together. But, here are a few examples to help reiterate the power of that combo. Chances are you have a ton of customers already there. You may even have quite a few already following your business page. Because so many people hang out on social media already, you can easily connect with hundreds of people. Use this to your advantage. People mimic the actions of others. So, if people see their friends talking about a certain brand then they may be more inclined to check them out too. 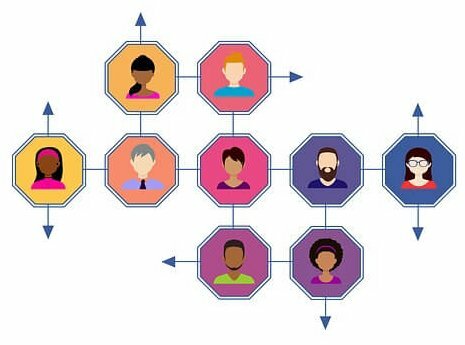 Therefore, having the option to share your referral program via social media is a great way for customers to help build up their own social proof. To make your brand even easier to share, make sure you include social media images in content shared by customers. Social proof increase when images are used. Think about how easy it is for something to become viral on a social media site. If you make social media sharing available it will happen. Providing the buttons within the user’s dashboard can prime a share (or referral in this instance) to occur. People retweet, share, copy, and save all sorts of things on social media, and your referral program should be one of them. To branch off of sharing, promotion becomes easier. You see, customers will be able to easily see what you post. 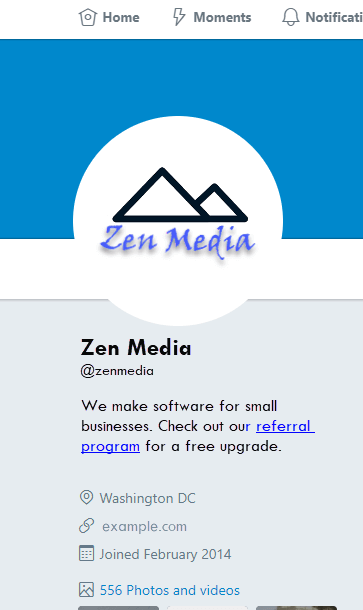 So when you mention your referral program they will see it on their timeline. Plus, when someone mentions you, all of their friends will see. This makes it easy for all sorts of people to see who you are, what you’re all about, and get insight into your program. The point of social media is to connect people together. Most people who connect to each other have similar interests and/or demographics. This means that your existing customers are often sharing with your ideal customer. Hard to get much more targeted than that! When a customer shares your business on their social profiles, it has the potential to be seen by a large network. This kind of acts as a mini advertisement for you. Even if they don’t buy today, it creates an impression. Oh, and it happens for free. Great, you’ve figured out your promotion strategy. Now you need to figure out how else to best utilize your social media sites. Your social site is a part of your brand, therefore, you need to instill a few of these best practices. By making sure your social media sites are set up properly, you can further boost your referral marketing strategies. Take a look at these top tips. This should be a no-brainer. But, just to reiterate, if you have malicious or spammy looking comments all over your profile, your brand trustworthiness will definitely decrease. Where are your customers more often? Chances are Twitter and Facebook are a pretty good bet. But, don’t discount other social sites like Pinterest, Instagram, or even LinkedIn. Set up profiles that make sense. Some businesses may not get much engagement on Instagram, for example, even if a ton of their customers use the app. So focus on what sites work best for you. Did you recently change your logo? If so make sure it reflects on any social site you are on. If someone ends up on your page, but everything is outdated, they may think you’re no longer in business. Keep your profile pic and cover photo up to date. It also doesn’t hurt to share fun photos every once in awhile. People often look online for information on businesses. How many times have you searched for a local restaurant that only had a Facebook page? That happens pretty often. Unfortunately, if those pages look abandoned, people will assume the business is no longer active either. So post something every once in awhile. This also means just that you have to work a little bit to stay in the conversation. Whether that means sharing something funny or sharing something useful on a regular basis, you need to provide a reason for people to visit your page. Your customers may reach out to you on your social sites. This is your chance to talk with them. Whether you’re simply having a little conversation or addressing a customer’s concern, your responsiveness will be noticed. People like to be heard, so make sure you’re listening. Many brands get engagement to their website by posting information about updates. Be sure to share newly published blog posts, changes to your software, etc. Just be sure you’re not posting too often (especially on Facebook). Posts can get buried and when you do post too often, people tend to tune you out. You can pay to promote certain posts of yours on social media. If you have a really good content piece, or something worthwhile, try boosting it to get extra engagement. You would be surprised by the reasons people don’t join referral programs, a bad social site is one of them. Now that you’ve spruced up your profiles, let’s talk about creating a social referral program. To start off, let’s hone in on your program participants. After all, the program was made for them. Here are some of the top tips for helping your customers use your program via social media. Let’s face it people assess how easy something is, and then decide on whether or not it’s worth their time. Sometimes you have to do a little spoon feeding so that people can easily handle the rest of the process. By offering social share buttons right from the customer’s profile page, you are making it so much easier, and more enticing, to share. Make sure the messaging is clear, and marketing isn’t too heavy as it might exhaust trustworthiness in your brand. (Optional, but worth it) If you want people to engage, you must engage with them. Your customers will notice if you are giving shout-outs, and likely they will want to join in. Everyone loves a little good public recognition. 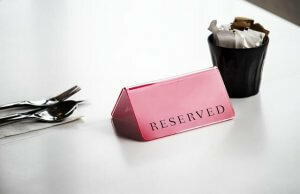 This also acts as a way of showing your appreciation, which can prime future referrals to happen. Images are so much more interesting than blocks of text. This may make participants more inclined to share. So be sure that if you do offer social media buttons, the information they are sharing uses some sort of image, like your logo or an image that corresponds to your program. Images make people stop and look, understand the content better, and are more visually appealing. All of which equals a winning combo. Make your participants look good by using double sided rewards. This really helps encourage participants to share. Why, well if there is an incentive for both parties involved, it makes the ‘ask’ seem less self-serving for the referrer. It may also increase the likelihood of a referral to turn into a customer. Everyone loves a good deal! Now that you’ve gotten to this point, let’s ramp up your social media to get your program out there and keep it “top of mind”. A successful referral program is based on how well you promote it. By now you realize how important social media is. But to reiterate, your customers are likely already flocking to these channels… meaning program promotion is easy! Okay, you can let a customer know a lot about you just from using your social profiles. One tiny, but effective, area is your bio. Facebook allows you ample room to write what you want, but Twitter likes you to keep it short and sweet. Fortunately, all you need is a link and three little words… “refer a friend”. By providing easy access to the link, you are also making it easy for people to come back to it at a later time to refer. If you’re putting regularly checking your social media profiles, then you probably already respond to customer feedback. Use these moments as reasons to ask for referrals. If someone mentions how much they like your service or if they are always contributing to your page, they are probably open to referring people to you. Communication isn’t just about responding though, it’s about keeping your name in the conversation. So make sure you are share-worthy and that your program is ready to be shared. This means if you’re not talking about it, how are people going to know? This bleeds into communication. No, you don’t want to talk about your referral program too often, but you should occasionally bring it up. A good reason to continually post about your program is that people who meant to sign up but didn’t have the chance to right at that moment will be able to easily find a link to your program at another time. We’re not saying you need to make one post weekly about the program. But, bring it up every few weeks can definitely keep it fresh in people’s mind. People want to be the ‘cool’ ones in their groups. So give them the chance. Okay, maybe your program isn’t as exclusive as you lead on. But, if you make it feel like a club then people may get excited. You can get people interested by mentioning your referral program is by invite only. 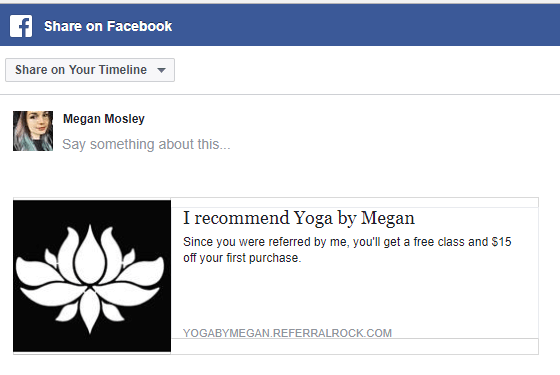 Example: You post on Facebook that you are starting a referral program. You don’t provide the link, instead, you talk it up and wait for people to bite. Someone comments or likes your post, and then you reach out to them personally and give them the link. You can spin this a few different ways. As long as you are pushing that not everyone gets the benefits of a program member, you should be golden. Before you go implementing these best practices it’s important to remember that building a solid networking foundation comes first. A referral program will really only work if customers believe in your business and/or like your product, to begin with. Though social media is one of the easiest ways to get your program out there, it shouldn’t be the only channel you use. Customers may respond better by sharing via private email for example. This is particularly pertinent if your business is something most people consider a ‘secret’. For example, people may not want everyone on their friend’s list to know that they have had a procedure done, or bought a particular item. With that being said, if you have customers who are online, and follow your brand. Or if you have an influx of people who talk about you on their social sites, it’s a pretty good indicator that social media is a great channel for your referral program. Social media and referral programs are just like pb&j (peanut butter and jelly) – they work really well together.